Experts expect the managed services market to grow to $257.84 billion by 2022. These days, most businesses can’t imagine life without outsourced IT professionals. Without outsourcing, there wouldn’t be enough IT professionals to fill the needs. 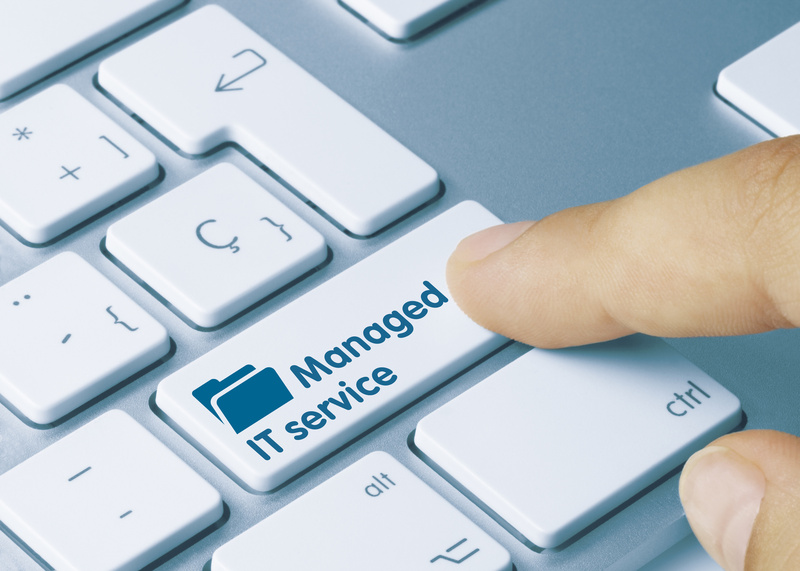 Clients keep IT managed service providers on retainer to take over their company’s IT functions. Whether its data center integration, maintaining an IT infrastructure, list management services, or all the above, today’s businesses wouldn’t be able to scale without It MSPs. Many of the top US cloud services providers also provide cybersecurity services. Without them, millions of businesses would be vulnerable. That said, the IT managed services market is still relatively young. Just two decades ago, most experts wouldn’t have imagined the capabilities these businesses have now. But thanks to cloud computing, automation, IoT, and other transformative technologies, the IT MSP business is stronger than ever. Let’s take a walk down memory lane. Here’s the evolution of the IT managed services provider. After the internet boom, businesses had a need for computing power and applications. Apps and computing were a booming market. But only the largest and most successful companies could afford outsourced IT providers. Application Service Providers (ASPs) stepped in to fill the need. They offered companies of all sizes access to applications and other services they couldn’t afford on their own. These were the types of applications and services a company would normally keep and update in-house (if they could afford it). To many, the ASP model (sometimes called “apps-on-tap”) was the progenitor of Software-as-a-Service (SaaS). But ASPs offered specific services. They weren’t like the many SaaS startups you see in the marketplace today. Over time, more and more companies reached out to ASPs to provide more ongoing IT services. They needed their IT infrastructures updated and secured regularly. They also wanted to be able to call on IT support without hiring in-house. Way back in the year 2000, there were about 300 ASPs in the marketplace. Just a year later, about half of them had either folded or changed to the MSP model. The MSP model was born out of a need for more on-demand IT services. And every business under the sun needed IT. It only took off from there. The financial crisis loomed large in many industries. Naturally, the housing and finance industries were affected the most. But the crisis had a ripple effect that caused damaged to many others. Consumers lost much of their spending power. Businesses large and small lost vast quantities of capital. Many were forced to close down, restructure, or borrow to stay afloat. Despite the horrors of the financial crisis, it was a mixed bag for the tech industry. This included the IT managed services industry. Although it was struck by many of the financial woes, it had a different experience in terms of talent migration. With so many bright minds fleeing banks and financial institutions, more were applying to IT companies and other technology service providers. Furthermore, millennials had entered the workforce. The first digitally-native generation in history, millennials helped to bolster the ranks of MSPs and other tech-focused businesses. Despite the business slowdown, there was a bigger emphasis on technology. The shift in talent would create long-term change. When “cloud” was still just a buzzword, plenty of businesses were interested in it. Few, however, had the means to implement the cloud solutions that would lead them to digital transformation. Most importantly, fewer businesses still had the internal resources to understand the cloud, implement it, and benefit from it. For this, many companies turned to outsourced experts like IT managed service providers. Today, you would be hard-pressed to find a company that keeps all its computing power in-house. Even the smallest companies accessed vast amounts of computing power over global networks. For the first time in history, you could crunch big data in a startup environment. Selecting, accessing, and maintaining cloud environments is challenging. MSPs help companies integrate cloud technology into their legacy systems and build the environments that will test the applications of tomorrow. Data breaches have been a problem since the inception of the internet. Long before hackers were romanticized in movies and TV shows, they were breaking into systems and stealing data for nefarious purposes. But by the time we reached the second decade of the 21st century, it was clear that breaches were more than a problem. They were a pandemic. A hack, a piece of malware, or a data dump from a large enough corporation can have ramifications for the entire global economy. Big companies have the resources to protect themselves. Small businesses do not. Unfortunately, big business isn’t the only target for hackers. They target half of all cyber attacks at small businesses. To meet increasing cybersecurity needs, MSPs took on a stronger role as cybersecurity experts. Many even evolved into Managed Security Service Providers (MSSPs). Many more offer MSSP services as an add-on to their standard IT offerings. In the future, it is likely that MSP will evolve further still. The cloud had expanded to the point where even the largest companies no longer need to keep computing power in-house. In fact, we could see a future entirely in the cloud, run by IT MSPs. If you want to see what IT managed service providers look like today, go here: https://www.charlotteitsolutions.com/. IT managed service providers are integral to today’s businesses. While many offer the same services as the others, most specialize in niche markets as well. For example, if you need the right cloud environment for your application, one MSP might be better than another. But if cybersecurity is the only service you need, you may be better off going with an MSSP. When selecting IT MSPs, keep their specialties in mind. In the meantime, learn more about IT managed service providers and other tech businesses in the Business Section of Power Inception.